NAGA CITY, September 9, 2016 (Bicol Standard) -- "Stay calm. Your police are working 'round the clock to protect everyone." This statement was related today by SPO2 Toby Bongon, Naga City Police Office Information in a phone interview by the Bicol Standard. "CD Muñez is taking the lead in securing the city," he said, referring to Naga City OIC City Director PSSupt. Julius Muñez. "More police officers are now deployed in strategic places. We should never be complacent because there will be thousands of devotees who will come to the city for the Traslacion”, he added. Also, he appealed to everybody to be responsible citizens, especially in posting information in the social media, like Facebook, as it may cause unwarranted alarm, he explained. 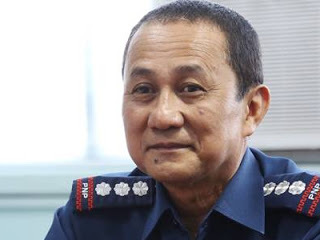 Meanwhile, the NCPO also confirmed that Muñez has sent a request to the National Telecommunications Commission, through the Office of Civil Defense (OCD) in Bicol for possible cellphone signal jamming. As of this writing, Bongon said they have not yet received any information regarding its approval or denial.